He will be the coolest cat on the playground wearing the Balmain Kids™ Short Sleeve Striped Tee w/ Logo. Stripe print with brand name. Product measurements were taken using size 6Y. Please note that measurements may vary by size. 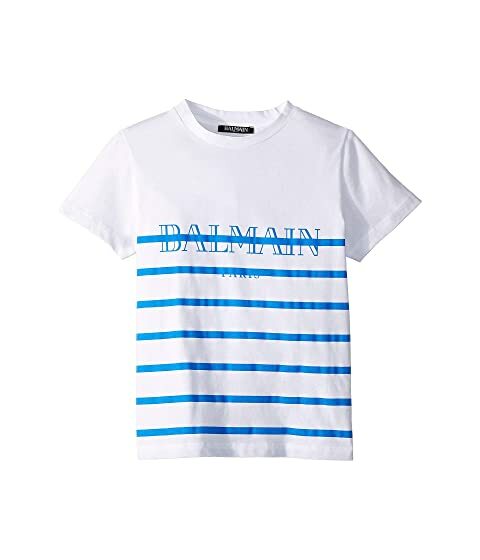 We can't currently find any similar items for the Short Sleeve Striped Tee w/ Logo (Little Kids/Big Kids) by Balmain Kids. Sorry!